If you’re a regular reader of this blog, you know that Facebook has heavily increased its focus on local activity and marketing in recent months. 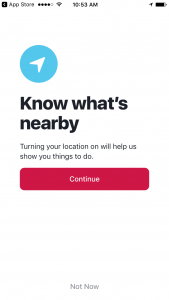 That focus continues with the launch of their latest standalone app: Facebook Local. 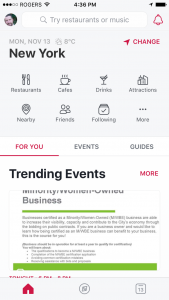 Facebook has revamped its Events app and renamed it Facebook Local, and it might be just the thing the social media giant needs to kill Yelp and Foursquare. 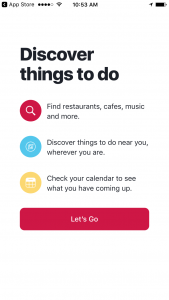 Powered by Facebook’s event listings and 70 million business pages, the new app combines events and places into a single app to provide users insight on restaurants, attractions and events that your friends have expressed interest in or are near your current location. By clicking the square calendar button on the right corner of the app, you can add events you’re interested in to your calendar. You can also set the map to show events taking place on a particular date in a specific location, or see what’s happening weeks in advance. 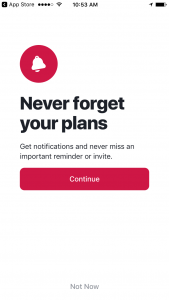 Users can also opt-in to receive notifications about upcoming events, guides and nightlife similar to Foursquare and Yelp. Recommendations work based on what’s popular amongst your Facebook network. 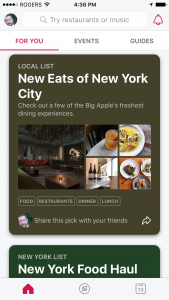 See what your friends are checking into and discover new attractions, restaurants, cafes and other hidden gems in your neighborhood. 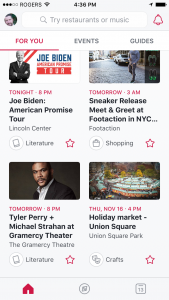 To see out what your friends are up to, check out the “For You” section to get a full list of events your Facebook friends have liked or RSVP’d to. The homescreen gives you an overview of all your information. View details on the weather, events you’ve expressed interested in, and new events or attractions that might appeal to you. 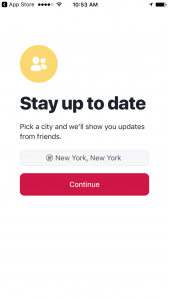 When traveling, users have the option to change their location to view what’s happening in the selected city. 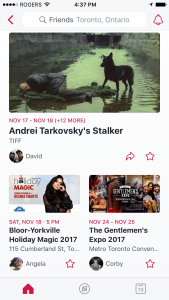 The “Discover” feed shows top suggestions based on what popular with your friends, while the “Details” page includes more information about the events you’re interested in including time and date, number of people going and where to purchase tickets – all similar to what you would find on a Facebooks Event page. 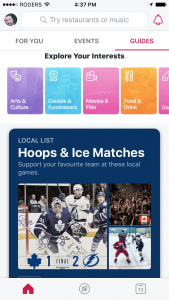 While the previous Events app only showed a quick overview of you and your friends’ plans, the Local app now offers a simple and organized interface to allow you to explore places to go and events happening near you, all powered by the people you know and trust.